For very young children, you may want to keep this activity to a few colors such as red, yellow and blue. 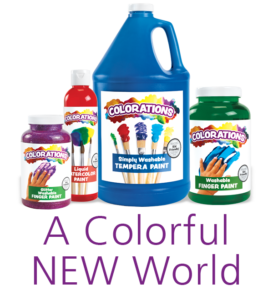 For older children, you may incorporate purple, green, orange, pink and more. 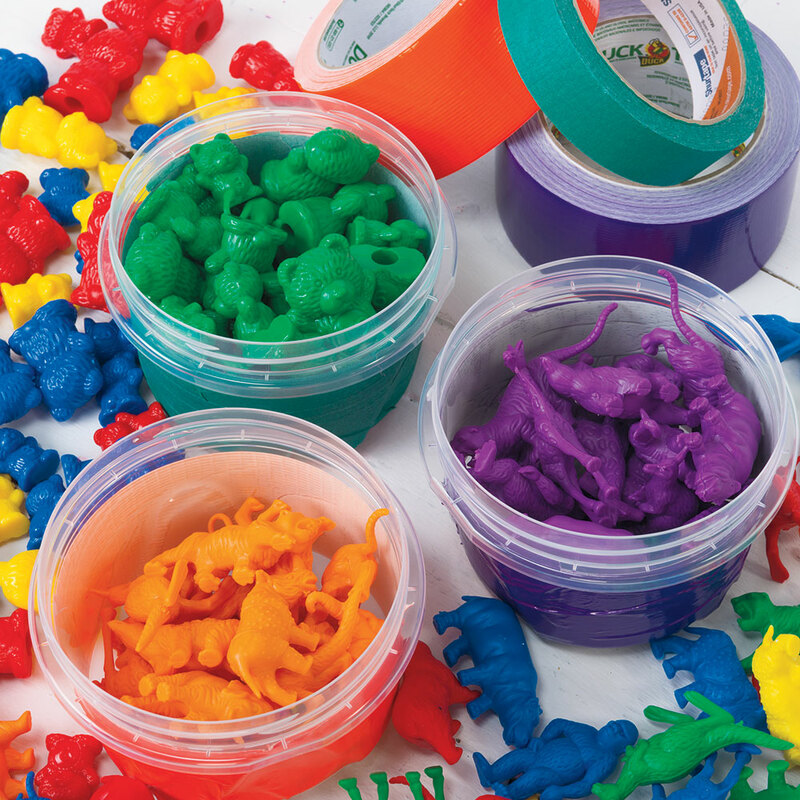 For this activity, you'll need to gather manipulatives that children can sort by color, such as counting bears or frogs, colored buttons, etc. You'll also need a spacious area on a table or clean floor and rolls of masking tape in the colors of the objects that the children will be sorting. Using the rolls of masking tape, mark off contained areas on the table or floor. Create a section for each color corresponding to the manipulatives that the children will be sorting. Have the children sort the manipulatives according to the color of each taped section by placing the manipulatives inside the space created with that color of tape. Challenge the children to find other objects in the classroom that could also be sorted into those colored spaces. Some ideas include crayons, markers, building blocks, etc. Practice counting skills with little ones by counting the number of objects inside each designated space. Which square has the most? The least? Ask the children what other items they could add to each colored section if they were available. For instance, "what fruit could go in the yellow section?" "Which section would a rose go in?" Or, "who has a toy that could go in the blue section?" This activity is a good one for having children work in small groups to sort the activity. This will also cut down on the amount of spaces that you need to mark off with the masking tape. To expand this activity, you may print out sheets with small squares containing pictures of items of various colors. Cut out the squares and have children sort them into the correct colored region.